Given that Pianoverb is a freeware plugin from PSP for PC/Mac, I wouldn’t quite agree to the statement that you’re robbing the Auria store by “only” paying $9.99. 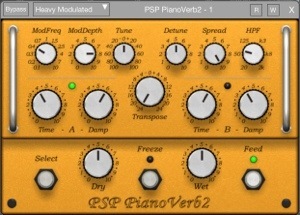 Actually I’m talking about the improved PianoVerb2, not the free PianoVerb original. Two different things. Hi. I read your review properly. Sounds great. I have about a dozen of PSP’s things, use them on every single song I do, and they are different, powerful, have a real effect (pardon the pun) on tracks. Thank you for a shortish but well-written review. I wouldn’t have needed much convincing, anyway, but you have made my mind up to buy it. And, of course, the great thing about PSP is that, the more of their goodies you already own, the cheaper it is to buy more. Cheers! Glad to hear that, and thank you for such a nice comment. 🙂 PSP is really helping take Auria to a new level. I am enjoying their plug ins quite a bit. Dave, what a great intro to the effects available on Auria. This can greatly help those of us, like me, that would like someone to test those effects out before shelling the dough for them. Definitely, you are making a great series with this one, Thanks! Thanks to WaveMachine Labs granting me access to them all, Ill continue to keep it going. Although there are a lot of them, and more coming. Might be an endless project. 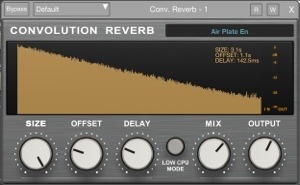 🙂 I’m working on updating a new reverb to the first part already. SpringVerb2. Coming in V1.0.6 soon as Apple approves it. Oh, and Audiobus support will be in that update as well. Thank you – this was very enlightening. 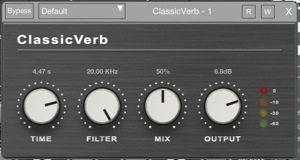 With Auria and its best verbs consuming so much CPU, do you think it could still be used just as a higher quality “reverb unit” in slot 3 for instruments in slot 1 once it’s on AudioBus? I’m not sure I fully follow what you’re asking, so if I answer incorrectly please forgive me. Auria can be used in Audiobus as an Input ( audio send ) and as an Output ( audio receive) I’ve only tried it from the AB output slot so far. My understanding is it would need to be in the FX slot in AB to do what you suggest? At my rate the FX can be used in Auria but track freezing is a must or forget it. You are correct that having Auria in the Slot 2 Effects slot would be better for what I was enquiring about – but I heard it was destined for Slot 3, which could have still made it useful for adding effects to instruments “upstream”. However, you DID answer my question by replying “At my rate the FX can be used in Auria but track freezing is a must or forget it.” which makes it clear that it can’t reliably be used to add a high-quality reverb to an instrument “upstream” in AB in a live performance. Thanks. 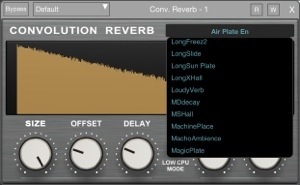 (Hopefully someone, somewhere is cooking up a high-quality reverb or two for Slot 2. I thought, if pop in and say enjoyed the email the other day and I think I’ll make PV2 my first IAP in this app, I hope you can get through them all, I think you should be sponsored ( by Auria giving you the IAP’s, as long as they do leave you to write what you feel and not suggest a review). Yes, WaveMachineLabs, has granted me access to all Auria IAPs. Mostly so I can help beta test them. I did tell them about my intended reviews, and they were highly supportive, and made no suggestions. I am free to write about them as I see fit, so long as it is not about anything unreleased, unless I’m given special permission. That’s great news dude, ill be looking out for them, it’s a win win 😉 @ the unreleased comment. Thanks for the overview article. I look forward to all of your blog posts! Are you running Auria on an iPad 3 or 4? Thank you very much. 🙂 I’m using iPad 3. I would like to get your opinion and experience if possible. I do own an iPad 3, apogee duet 2 for iPad and would like to record mostly Singer/Songwriter setups. In the end maybe 6 tracks totall to mix. Is my current etup able to run fluently witout CPU problems and similar thinks, when i use Auria for my main recording app? Would you recommend this app for an sugsessfull recording solution? Thanks in advance and hope to hear from you soon.. I haven’t tried the Apogee Duet 2 myself, so I’m not sure just how much (if any?) of an impact it might have. However, I have used Auria with my iPad 3 a lot with very few problems. Memory and CPU might become strained if you also use FX or plug ins without freezing tracks. The trick is to not apply any plug ins until after the recording part is completed. Then apply FX and or automation one track at a time, and freeze it when you need to move on to another. What I’ve done a lot (in my iPad 3 days) was apply a Plug In to the AUX (sends) 1 & 2 instead of each (insert) track whenever possible. A caveat to this is that back when I was using my iPad 3 (sold it since) I was using iOS 6. So how this will work today with iOS 7 or 8 on iPad 3, I don’t know. I am using Auria currently on iPad 4 with iOS 7 and iPad Air with iOS 8. No problems and less need to be as careful as when I used it with my old iPad 3 iOS 6. That said, I have no reason to believe you would have any trouble. If you only need a simple multitrack recorder and don’t need or care about plug ins and automation, then Auria might be overkill for you? If so I’d recommend taking a serious look at Harmonic Dog Multitrack DAW app. It’s superb for a strait up, plain jane audio recorder and multi tracker. 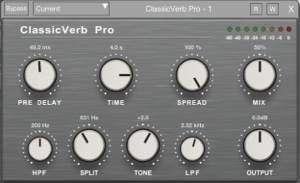 It has a nice EQ, decent global reverb and delay FX too. Thanks so much for your straight forward answer. It helped me a lot. I will try the Multitrack DAW and see how it goes. Good to have people like you around. Running iOS 7.1.2. at present….